8bits Fanatics’ deathtrap of a platformer, 1001 Spikes, will be releasing for Xbox One on June 10, publisher Nicalis has announced. The intentionally brutally challenging sidescroller is named for the 1001 lives it allocates to players on their quest to survive the multitude of spikes, pits, enemies and other hazards. The game’s quest sends players after the lost treasures of Ukampa in South America and main character Aban Hawkins’ estranged father Jim Hawkins. The game originally debuted as Aban Hawkins & the 100 Spikes on the Xbox Live Indie Games store in 2011. 1001 Spikes now features a complete campaign with a story, a world map, multiple playable characters — including some borrowed from other games like Bit.Trip Runner‘s Commander Video — and several multiplayer modes. As the launch trailer above shows, the game’s sights and sounds recall the glory days of 1980s platformers. 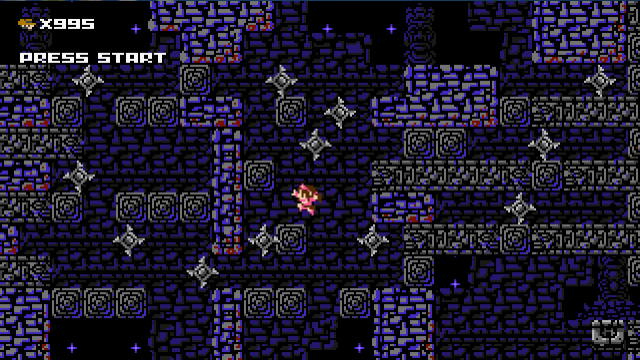 1001 Spikes released this past Tuesday for PlayStation 4, PS Vita, Mac, PC, 3DS and Wii U.